We occasionally get the opportunity to play at public venues. Participation is voluntary. Participation is also a ton of fun! Here are some of the locations at which we have performed. Photo is from Loring Park Art Festival. Veteran's Home - Members of the Twin Cities Ukulele Club conduct sing-along jams with residents in the Veteran's Home Memory Care Units twice a month. These are pretty laid-back performances/events. We generally use songs we routinely sing at jams. We most often sit and use music and music stands. And, as usual, we have a lot of fun! 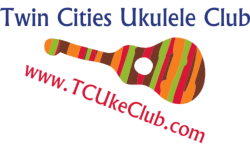 ​If your group is interested in having the Twin Cities Ukulele Club perform at your site, contact us at TwinCitiesUkeClub@icloud.com.